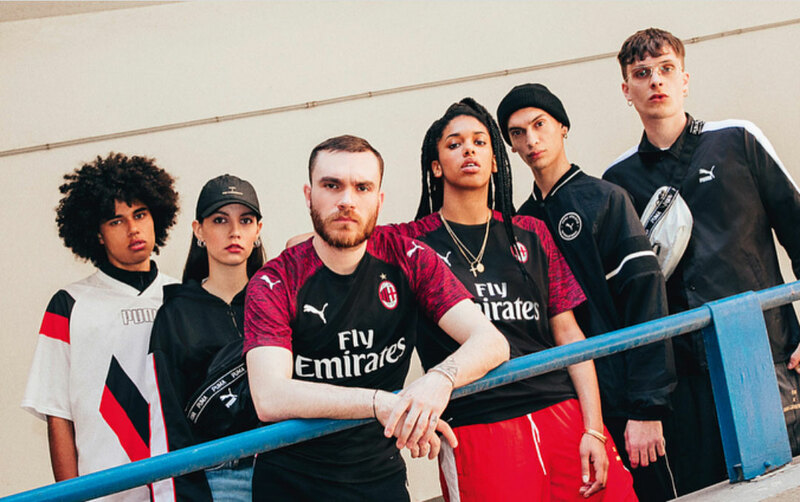 The Puma AC Milan 18-19 third kit introduces a modern design inspired by the brand’s 2018-2019 aesthetic. It’s once again sponsored by Emirates and should be available to buy shortly. 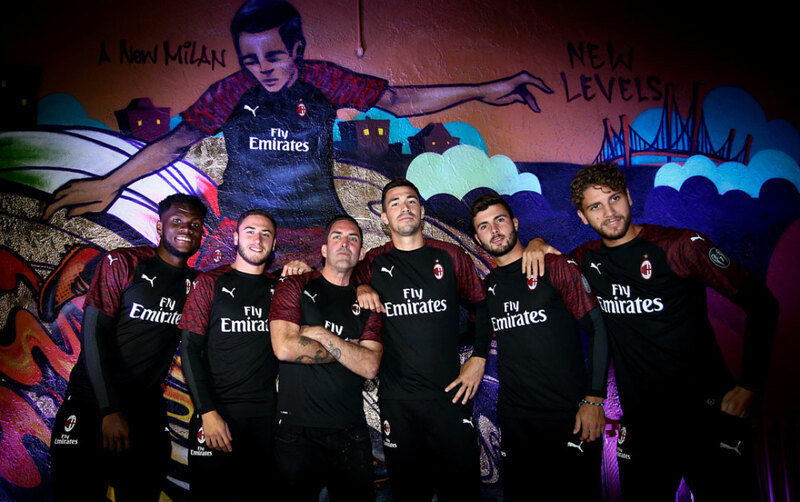 Predominantly black, the new Milan third kit by Puma has red melange sleeves – it’s a design element that is ever-present amongst the brand’s 2018-19 club efforts. 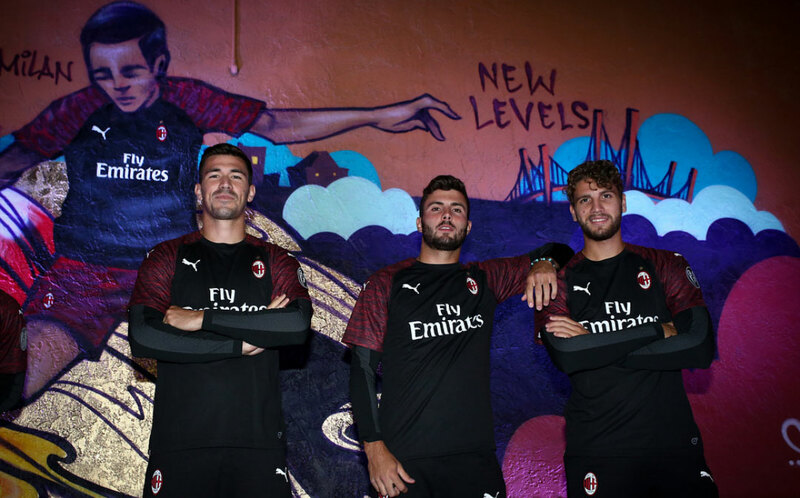 White Puma and ‘Fly Emirates’ logos on the front and a Puma branding on each sleeve complete the smart look of the AC Milan 18-19 third jersey. 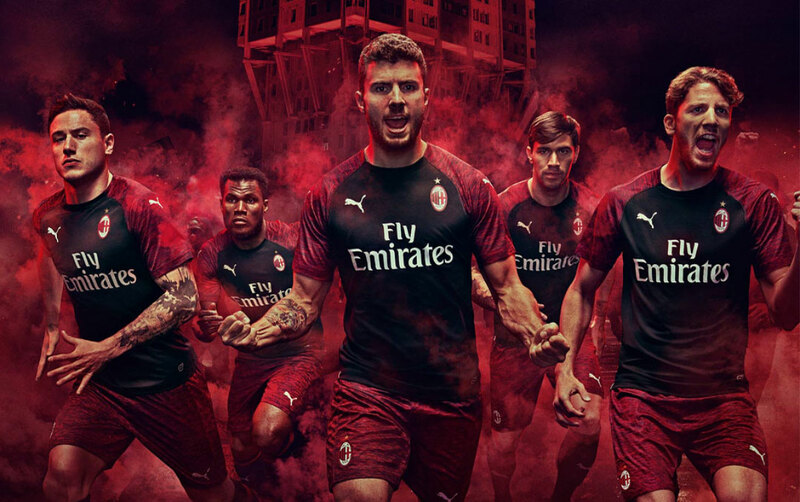 Red melange shorts will be used together with the Milan 2018-2019 third shirt. The socks are black with a single red hoop.